"Pilot took great care of us and delivered excellent doors for our facility. When there were issues or mistakes, they fixed them quickly and professionally. We are very satisfied with the finished product and proud or our new facility." "I had a great experience working with Pilot Door Systems. 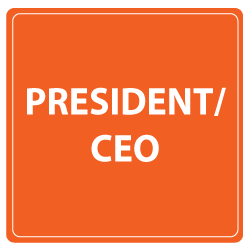 Their product, technical help and project management are all excellent. They made the process smooth and hassle free. I would recommend them to anyone doing a full scale project like mine." "As an Owner and Self Storage Contractor I have worked with Pilot Door Systems for 10+ Years. Pilot Doors Systems' willingness to innovate and work with my companies have saved me time and money on all my storage developments. Pilot can work with your architect or contractor to plan the perfect installation to meet your needs. Whether you're looking at new construction or if you need to give your facility a facelift, Pilot Door Systems can help! Beyond simply designing the perfect solution to meet your needs, Pilot also offers full-service project management for your on-site installation. Using your installers or ours, we can deliver a turn-key solution to meet your needs. 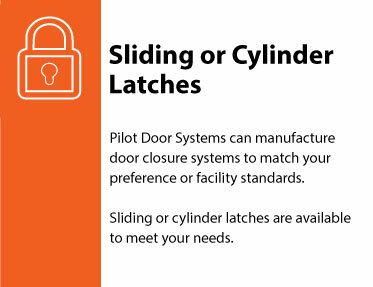 Pilot Door Systems is a full-service manufacturing facility - we produce and assemble complete systems on-site, and then ship the completed door and wall assemblies to you, ready for headache-free installation. Need on-site installation? No worries! 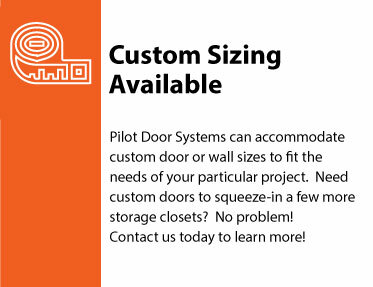 Pilot Door Systems can install your door and wall systems at a very economical price. Our installers are the most experienced around, and can quickly overcome any unforseen on-site challenge. all over the U.S. Since 2005, Pilot has sold more than 10,000 door and wall systems to date. maximize your revenue-generating space and earn a strong ROI. 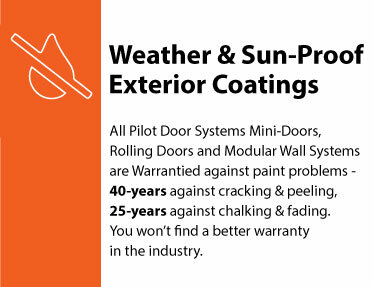 who stand behind the Pilot promise to deliver quality door & wall systems to every customer. Jan Gorringe opened Pilot Door Systems, Inc. in June of 2005 after decades of experience in manufacturing door and wall systems in Texas. Pilot Door Systems, Inc. has since become a storage industry leader. 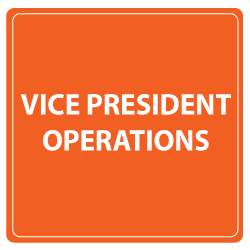 Mike has nearly 30-years experience in the steel industry working in production, R & D, quality control, and plant operations. No one has a greater eye for detail than Mike. 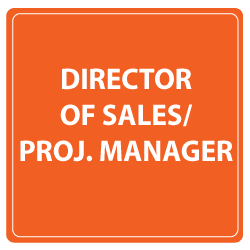 Jake has been with Pilot since the beginning, starting in production and moving to inside sales and project management. Jake has the hands-on technical experience that helps customers design it right the first time. Rigid Quality Control & State-of-The-Art Technologies. Our rigid quality-control standards mean you receive your door & wall systems built to specs and ready to install. 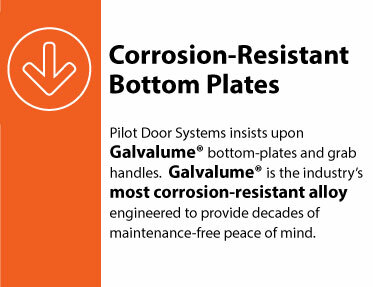 Pilot has invested millions of dollars in state-of-the-art equipment upgrades, ensuring your Pilot Door Systems products are consistently free from defects. 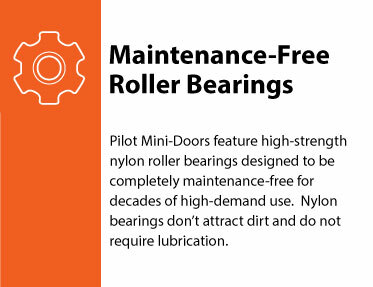 Pilot Door Systems, Inc. only uses the highest-quality maintenance-free bearings in our roll-up doors - ensuring decades of trouble-free use in high-demand environments. 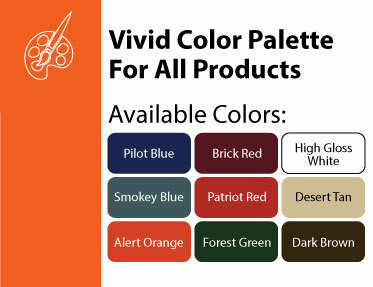 Pilot only uses certified steel coatings on our products warrantyed for 40-years against flaking, and 25-years against chalking and fading.